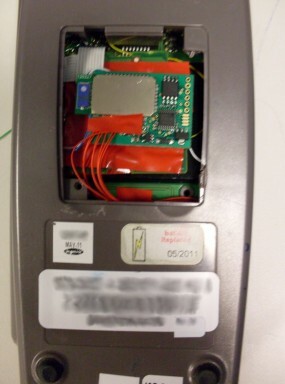 An “overlay” skimming device (right) that was found attached to a card reader at a retail establishment. The device featured here is a Bluetooth-based skimmer; it is designed to steal both the card data when a customer swipes and to record the victim’s PIN using a PIN pad overlay. The Bluetooth component of the skimmer allows the thieves to retrieve stolen data wirelessly via virtually any Bluetooth enabled device — just by being in proximity to the compromised card terminal (~30 meters). If we look on the backside of this skimmer, we can see the electronics needed to intercept the PIN. 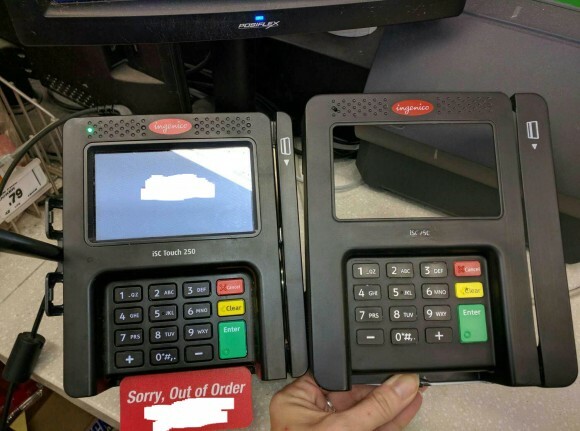 The source who shared these pictures said an employee thought the PIN pad buttons were a little too difficult to press down, and soon discovered this plastic overlay and others just like it on two more self-checkout terminals. 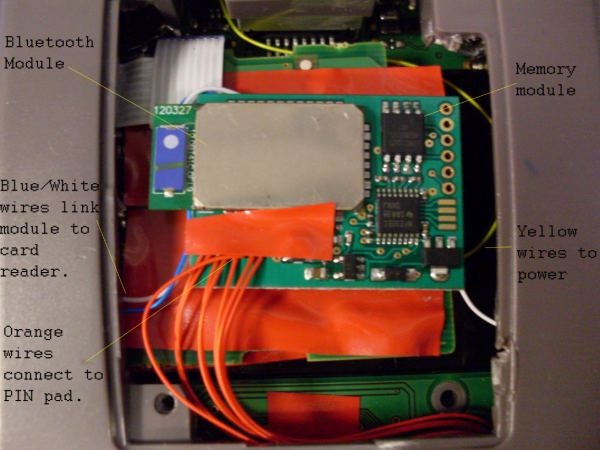 Every so often, the sophistication of the technology being built into credit card skimmers amazes even the experts who are accustomed to studying such crimeware. This post focuses on one such example — images from one of several compromised point-of-sale devices that used Bluetooth technology to send the stolen data to the fraudsters wirelessly. 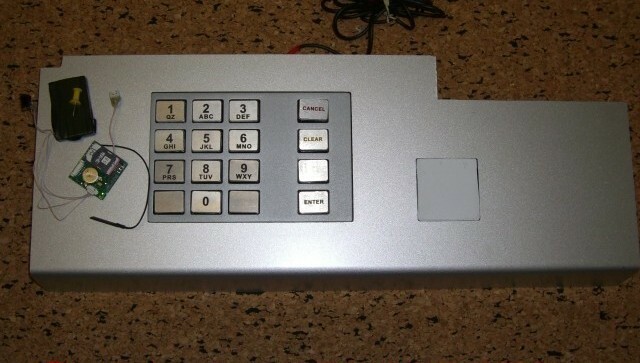 This point-of-sale device was one of several found in an as-yet undisclosed merchant breach. 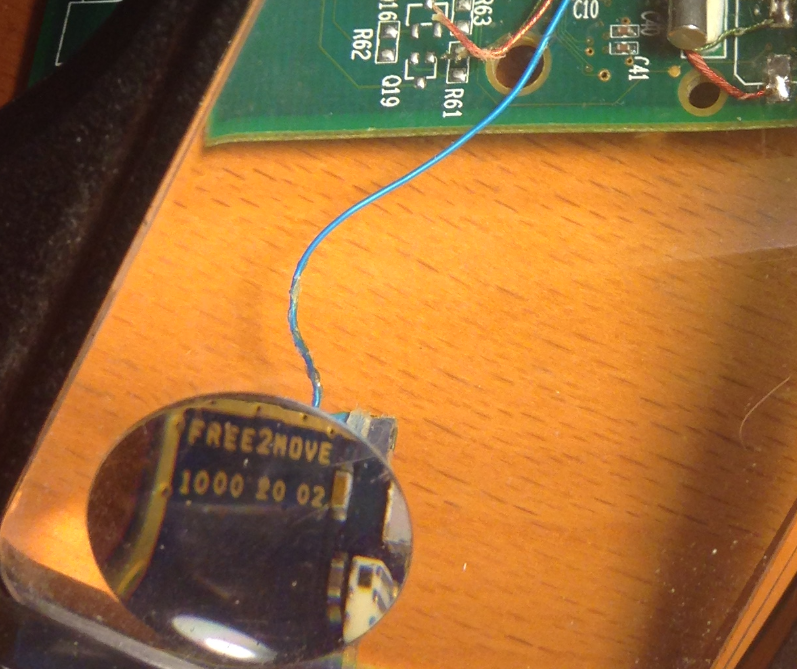 In October 2012, forensics experts with Trustwave Spiderlabs were called in to examine the handiwork of several Bluetooth based point-of-sale skimmers found at a major U.S. retailer. The skimmers described and pictured in this blog post were retrieved from a retail breach that has not yet been disclosed, said Jonathan Spruill, a security consultant at Trustwave. Spruill said the card-skimming devices that had been added to the small point-of-sale machines was beyond anything he’d encountered in skimmer technology to date. Spruill declined to name the breached merchant, and said it was unclear how long the devices had been in place prior to their discovery, or how they were introduced into the stores. But the incident is the latest in a string of breaches involving bricks-and-mortar merchants discovering compromised point-of-sale devices at their retail stores. Late last year, bookseller Barnes & Noble disclosed that it had found modified point-of-sale devices at 60 locations nationwide. 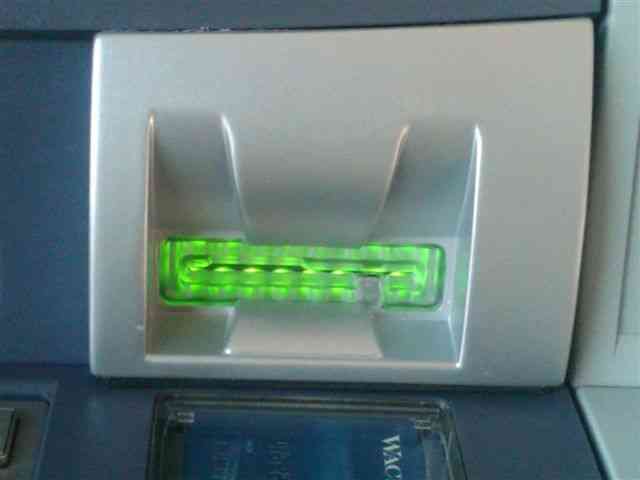 The picture below shows the card skimmer in more detail. The entire green square circuit board with the grey square heat shield and the blue element to the left are the brains of the device. 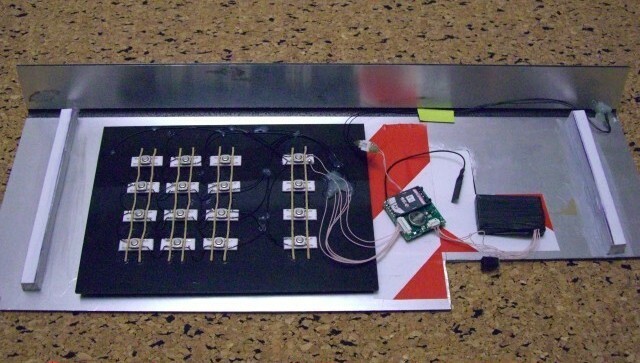 The eight-legged black component in the upper right is the memory module that stored stolen credit and debit card and PIN data from unwitting store customers. Beneath the large grey heat shield in the center of the circuit board are the chips that control the Bluetooth radio. That entire component is soldered to the base of the board. The blue and white wires leading from the skimming device connect the skimming module to the card reader on the point-of-sale device, while the group of eight orange wires that come out of the bottom connect directly to the device’s PIN pad. The Bluetooth point-of-sale skimmer, up close. The image below shows the eight orange wires from the skimmer soldered to the POS device. Spruill said the quality of the soldering job indicates this was not made by some kid in his mom’s basement. “One of the reasons suggesting that the attacker was fairly accomplished is the quality of the solder done with those very small connections to the PIN pad,” he said. Microsoft today released updates to fix at least 22 security flaws in its Windows operating systems and other software. The sole critical patch from this month’s batch addresses an unusual Bluetooth vulnerability that could let nearby attackers break into vulnerable systems even when the targeted computer is not connected to a network. 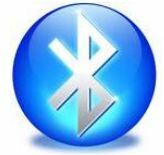 Bluetooth is a wireless communications standard that allows electronic devices — such as laptops, mobile phones and headsets — to communicate over short distances (the average range is between 30 to 100 meters, but that range can be extended with specialized tools). To share data, two Bluetooth-enabled devices normally need to “pair” with one another, a process that involves the exchange of a passkey between the two devices. But Microsoft today shipped a patch to fix a flaw in its Bluetooth implementation on Windows Vista and Windows 7 computers that it said attackers could use to seize control over a vulnerable system without any action on the part of the user. The assailant’s computer would need to be within a short distance of the victim’s PC, and the target would merely need to have Bluetooth turned on. Joshua Talbot, security intelligence manager for Symantec Security Response, said the vulnerability could be exploited without any alerts being sent to the victim PC. Although it is unlikely, such a vulnerability could be used to power a computer worm that spreads from one Bluetooth-enabled Windows laptop to another, Talbot said. ATM skimmer found on a Wachovia ATM in Alexandria Feb. 28. The stories I’ve written on ATM skimmers — devices criminals can attach to bank money machines to steal customer data — remain the most popular at Krebs on Security so far. I think part of the public’s fascination with these fraud devices is rooted in the idea that almost everyone uses ATMs, and that it’s entirely possible to encounter this type of sneaky, relatively sophisticated form of crime right in our own neighborhoods. Indeed, police in Alexandria, Va. — just a couple of miles to the East of where I reside — recently were alerted to a skimmer found on an ATM at a Wachovia Bank there. The device reportedly was discovered On Sunday, Feb. 28, at around 1:30 p.m., by an ATM technician (no one I’ve asked has been able to explain why the technician was there on a Sunday in the first place, but I digress). 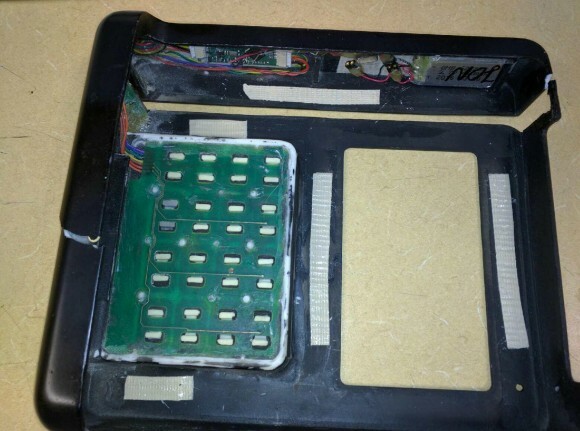 According to the Alexandria Police, the technician spotted the skimming device attached to the card reader on the ATM, snapped some pictures of it, and then went inside the bank to notify the bank’s security office. When he returned a few minutes later, the skimmer had been removed. 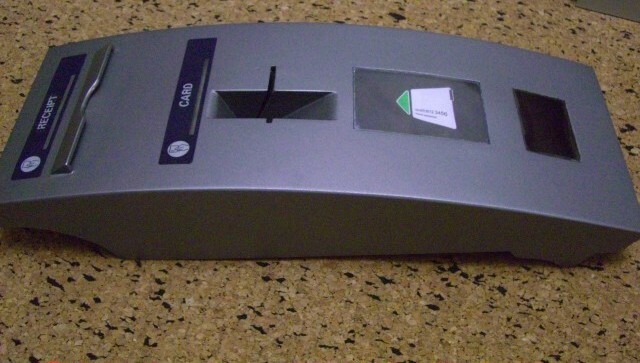 Skimmers are typically placed at the mouth of the card acceptance slot, and designed to record the data off of the magnetic strip on the back of a customer’s ATM card when he or she inserts the card into the machine. Usually, thieves will plant another device used to record the customer’s PIN, such as a hidden camera or a PIN pad overlay. 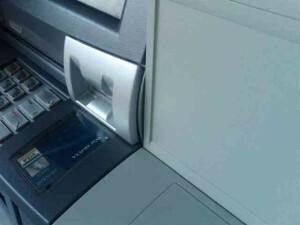 With the data from the magnetic strip and the customer’s PIN, the thieves can later clone that ATM card and use it to withdraw cash. The police in this case couldn’t say whether there was also a PIN stealing apparatus attached to the ATM, although it seems likely that the technician simply overlooked it. Cmdr. 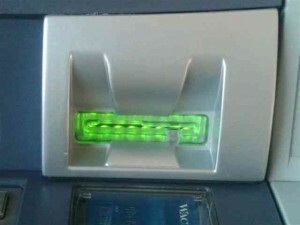 Jody D. Donaldson, head of the Alexandria Police Department’s Media Services Unit, said crooks sell skimmers in different adaptations and colors depending on the make and model of the ATM that their thieving customers want to target. The skimmer attached to the front of the Wachovia ATM for example, was manufactured for a specific model of Diebold ATMs, Donaldson said. Donaldson said several customers have come forward to report fraudulent charges on their bank cards, with current losses from the incident estimated at more than $60,000. Read on after the jump about how the skimmer used in this attack matches a model sold online by criminals in rent-to-own kits, complete with instructional videos and software that divvies up the stolen data.